The world of UFO's and aiens is filled with controversy, speculation and mystery. What are the UFOs? Do they exist in reality or are they drawn from somewhere within the mind of man? Do they emanate from another dimension altogether or are they ancient archetypes that we have forgotten with the sands of time? 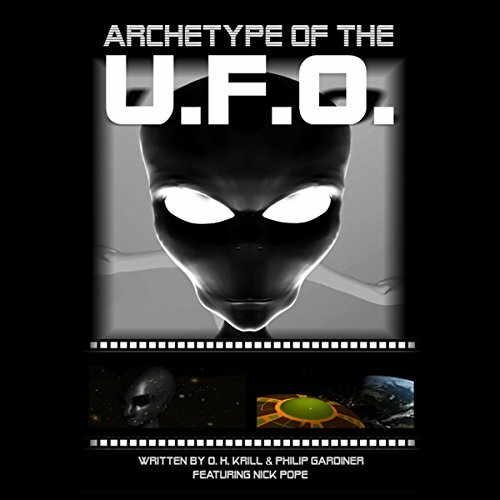 The Archetype of the UFO tackles these dilemmas head on, going where few UFO books have dared to go before. As we near 2012, we now need to abandon any previous notions about this phenomenon and delve deeper into this fascinating realm that lures the entire human race toward its future destiny. This is a total waste. The narration sounds like someone reading a basic term paper on general Ufology. Add to that the fact there are huge gaps of no narration filled by really bad techno music. Oh, also that terrible techno runs throughout the entire "audiobook."